Gentle doctors, great customer service! The office staff is always friendly and makes you feel comfortable. Thanks for the over the top amazing experience and keep up the good work! Great orthodontist and the friendliest staff on the planet! Dr. Devlin is a great Orthodontist! 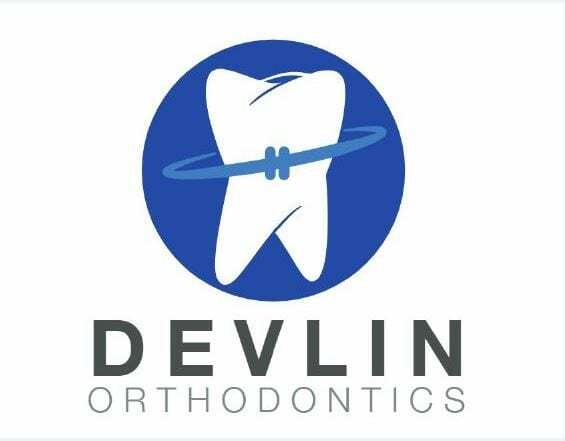 He and his office staff have been great to work with.. Dr. Devlin has been doing my son’s braces and he even took care of my daughter’s retainer, both of my kids love Dr. Devlin! He is knowledgeable and friendly and funny and makes his patients very comfortable leading to a very positive experience getting braces or whatever they need. His friendly, compassionate and helpful staff also make getting braces a very positive experience. Scheduling was so easy with them even having a very busy schedule, they were all kind and courteous and a pleasure to work with! We recently moved to Florida and they were super helpful in getting us any paperwork or information we needed in getting started in our new place too! Although I honestly wasn’t thrilled by the news that I needed braces as an adult, I am so incredibly grateful to Dr. Devlin and his staff for making this process (both literally and figuratively!) as painless as possible. The entire staff has been wonderful and has really gone the extra mile — always being so welcoming and friendly, so accommodating and easy to work with, and so skilled, efficient, and professional. Dr. Devlin and his staff provide excellent care and really do take the time to give personal attention to each patient. I truly cannot thank them enough for such a positive experience! It is my privilege to recount my experiences at Devlin Orthodontics. 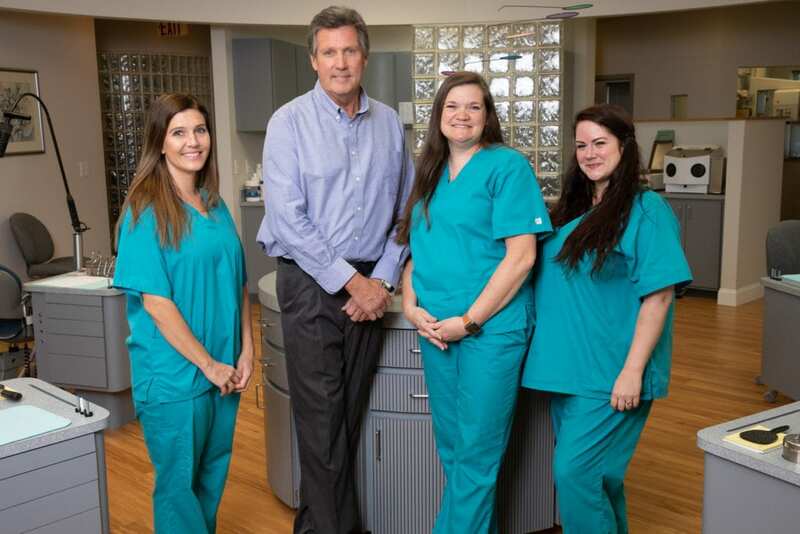 From the initial visit, my daughter Annie and I were welcomed by a friendly staff and guided through the process of getting braces by a highly experienced team. Dr. Devlin’s well-crafted plan was flawless, and he and his dental assistants were skilled, patient and most importantly, pleasant. All anyone needs to do is see my daughter’s dazzling smile to appreciate the level of superior services provided. I will now face round two fearlessly and with the assurance that my second daughter will be equally well-served by Devlin Orthodontics. I just wanted to take a minute to say that my families experience with Devlin Orthodontics has been wonderful. When my dentist referred my oldest child to an orthodontist, I asked around. Although there are several other orthodontist in the area, Dr. Devlin & Devlin Orthodontics came highly recommended. All of my experience has been with the Clayton location which is right off of Guy Rd and very convenient. The office staff is equally great, helping us several times with insurance issues and just being war, welcoming as well as extremely accommodating when it comes to rearranging appointments as is sometimes needed w/2 kids in 2 different schools, both with after school activities, etc. Love, love, love those days before reminder calls. We are nearing the end of my first child’s time in braces. I am excited for my child and confident that the end result will be exactly what he as been waiting on. We love Dr. Devlin. He has been great. His staff is wonderful. They really try to make your visit personal. Thank you to Dr. D and his staff. Extremely pleased with Dr. Devlin and his entire staff. We have four children and have trusted Dr. Devlin with all of them. Our youngest two are twins and they got braces put on last week. Dr. Devlin along with his staff did an outstanding job, incredibly patient and caring. I wanted to write this review because I so impressed with the care they showed in how they handled one of our children who is very sensitive. He always follows up with us to see how they are doing and is available should a problem arise. Also, I trust him, he doesn’t try to sell me on things we don’t need, he is current yet conservative, which my husband and I appreciate. Dr. Devlin is highly competent. His staff is dedicated and has been with him for years. Three family members of mine have used him. His pricing is very fair, and if I had straighten everyone’s teeth again, I would definitely hire Dr. Devlin for the job. Dr. Devlin has done a first class job on my daughter’s smile. He is very approachable and explains what and why things need to be done before he does them. All of the staff are very friendly and cheerful. I don’t think I have EVER seen Kim at the front desk without a smile on her face. As a matter of fact; I’ve never seen an unhappy client in 4 years. Dr. Devlin has assembled a great team here. So there you go! Fantastic Doctor and staff! 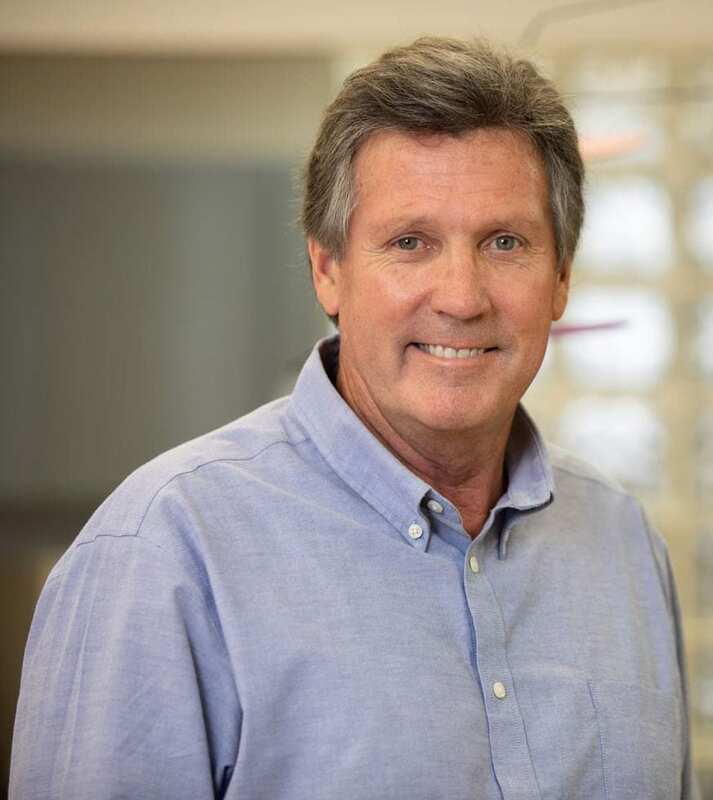 Dr. Devlin is genuine, compassionate and takes his time with each patient. He was my Orthodontist as a kid and he now sees my kids! 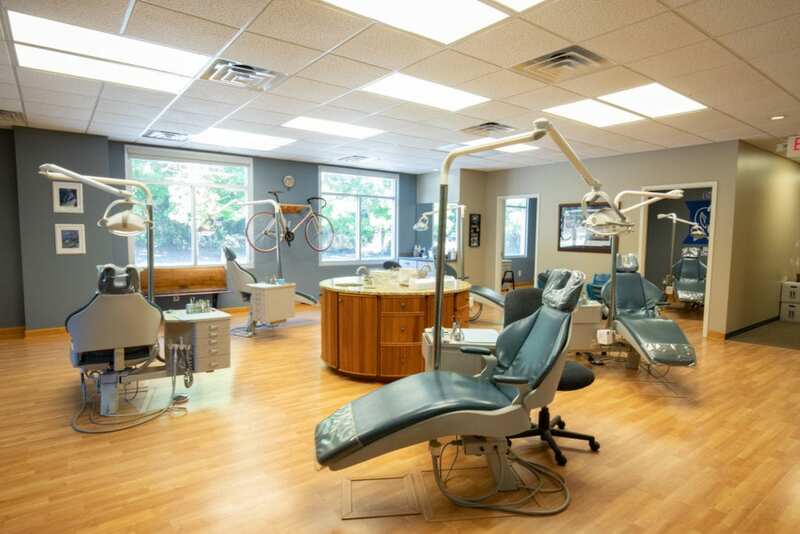 Devlin Orthodontics has been creating healthy, beautiful smiles throughout Raleigh, Clayton and surrounding areas in North Carolina for over 20 years. At Devlin Orthodontics, we strive to improve the lives of our patients by providing quality orthodontic treatment. We pride ourselves on being able to offer our services in an atmosphere that is unparalleled in the orthodontic industry.